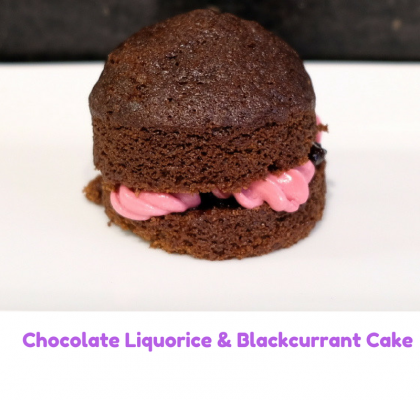 This is an easy and tasty recipe based on the traditional French Classic. 1. 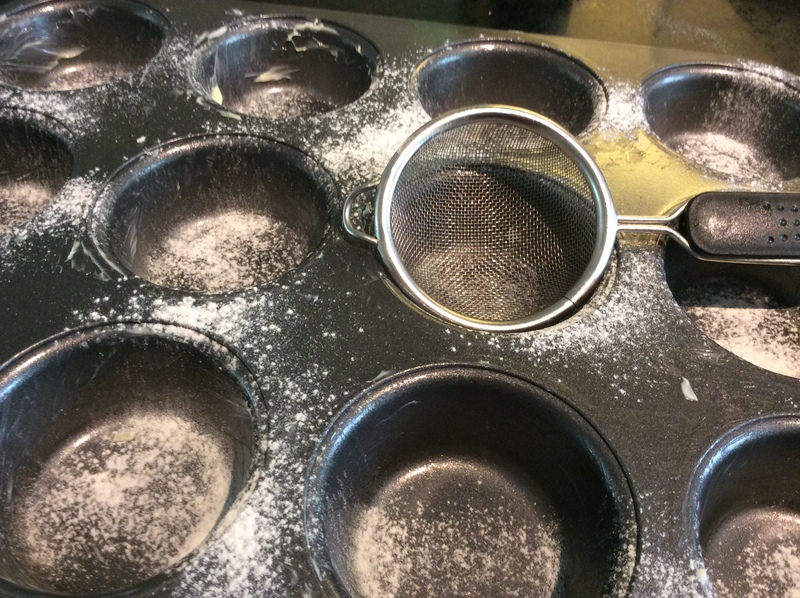 Grease the tin with butter and dust with a little flour. This will stop it sticking. 2. 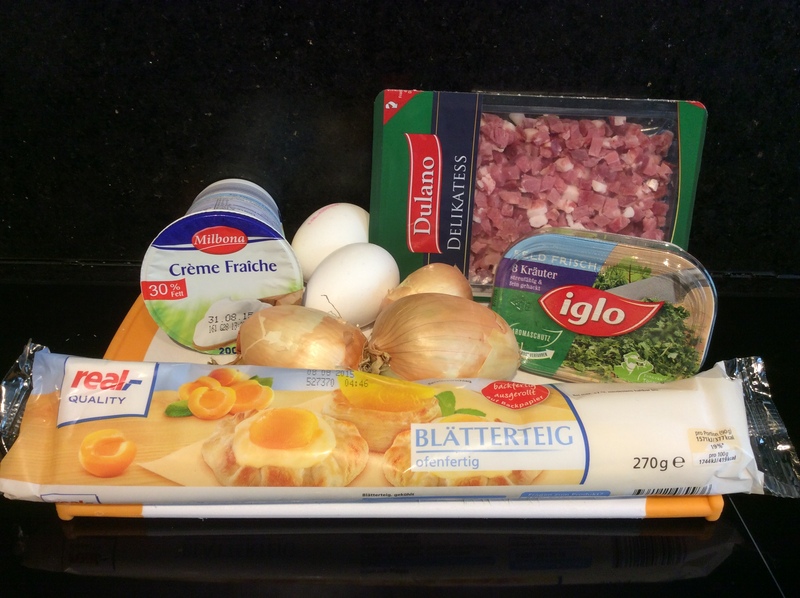 Thinly slice the onions. Fry on a medium to low heat in a little oil , stirring occasionally for roughly 10 minutes. Whilst you wait start on the pastry. 3.Lightly dust your work surface with flour. 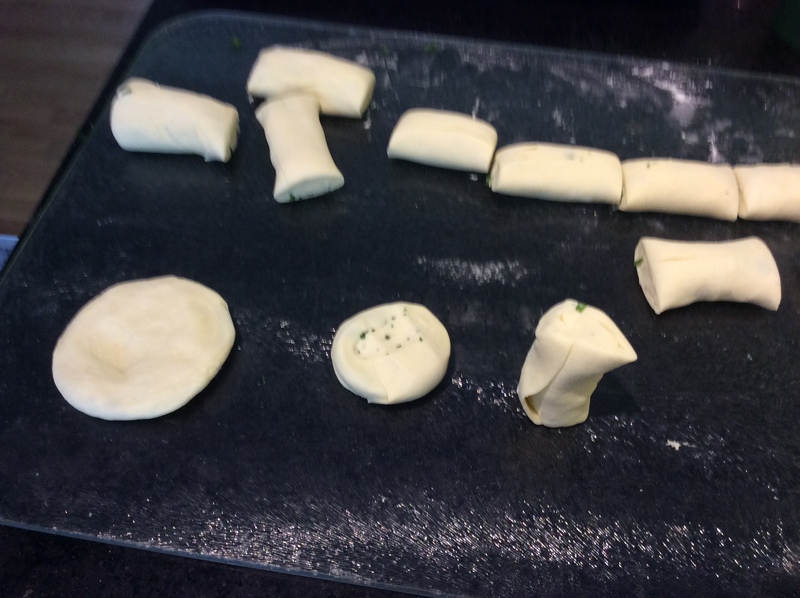 Unroll the packet of pastry. Sprinkle it with some chopped frozen herbs. I used an Italian mix. 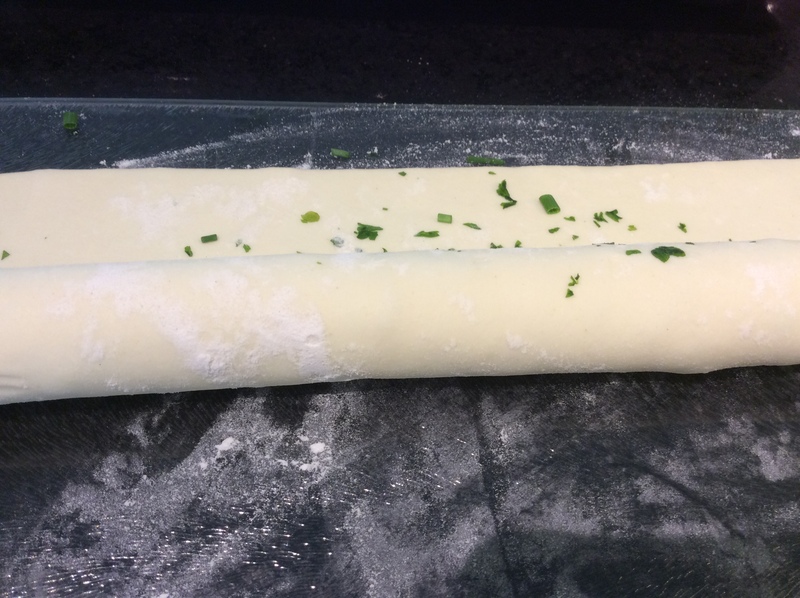 Roll the pastry up along the long edge. Cut the pastry in half. Roll it stretching it slightly till the two pieces are the roughly the length that they originally were. 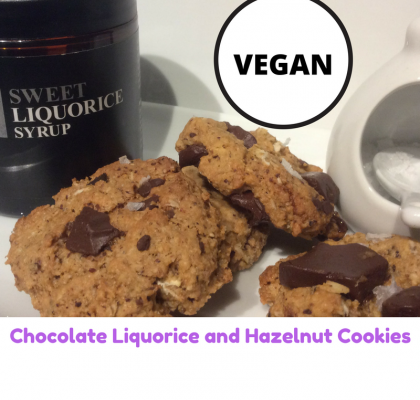 Divide each half into 6 equally sized pieces. You should have 12 in total. Stand a piece up on its end and then press downwards with the palm of your hand. You should have a circle shape. 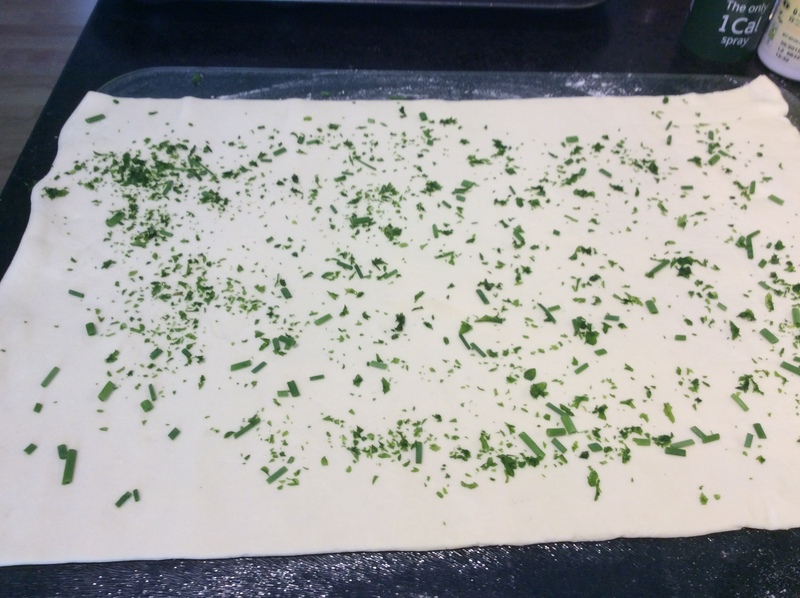 With a rolling pin roll the circle out till it is roughly large enough to fill the bun tin. Then place it in the tin. Repeat with the remaining 11 pieces. 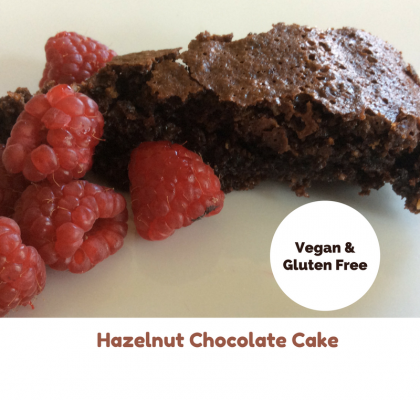 Put the tin in the fridge to cool until the filling is ready. 4. 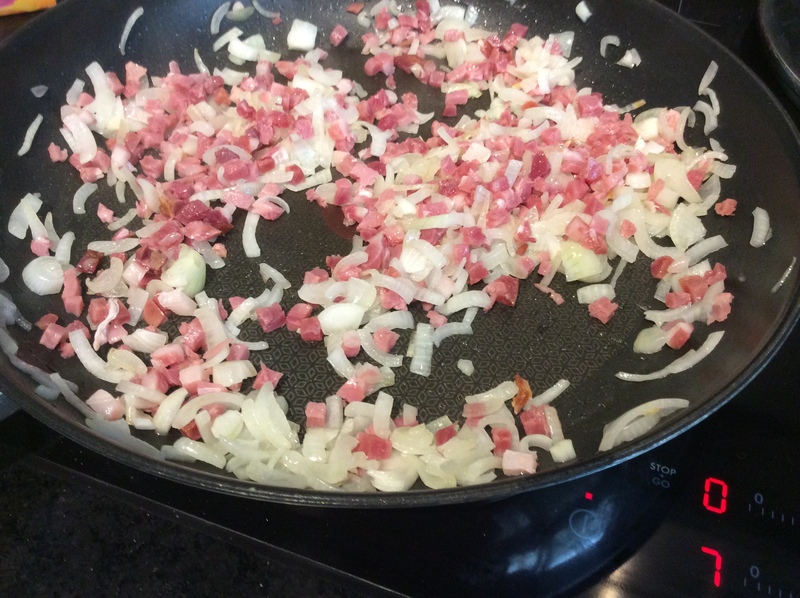 Add the diced bacon or pancetta to the fry pan and fry for 5 more minutes. Turn off the heat. 5. 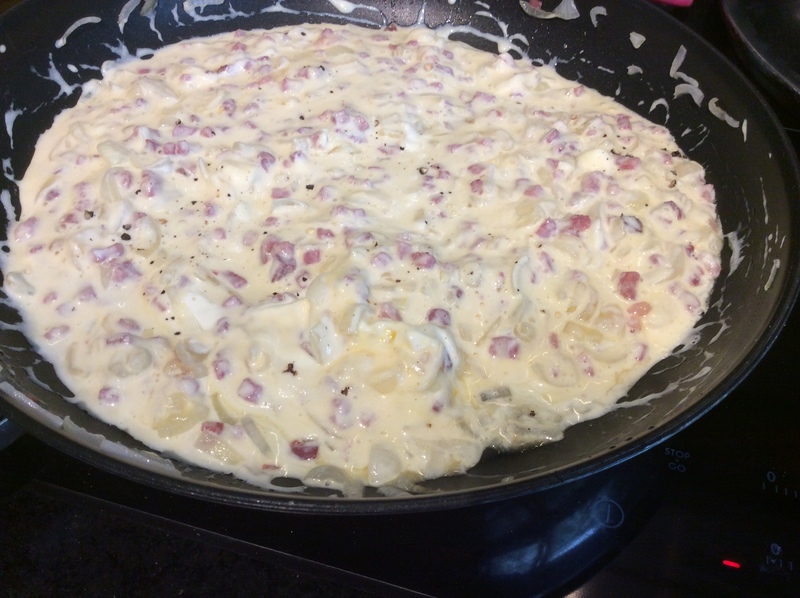 Mix together the eggs and creme fraiche and add to frying pan. Season with a little freshly ground pepper. 6. Preheat the oven to Fan 200 degrees Centigrade. 7. 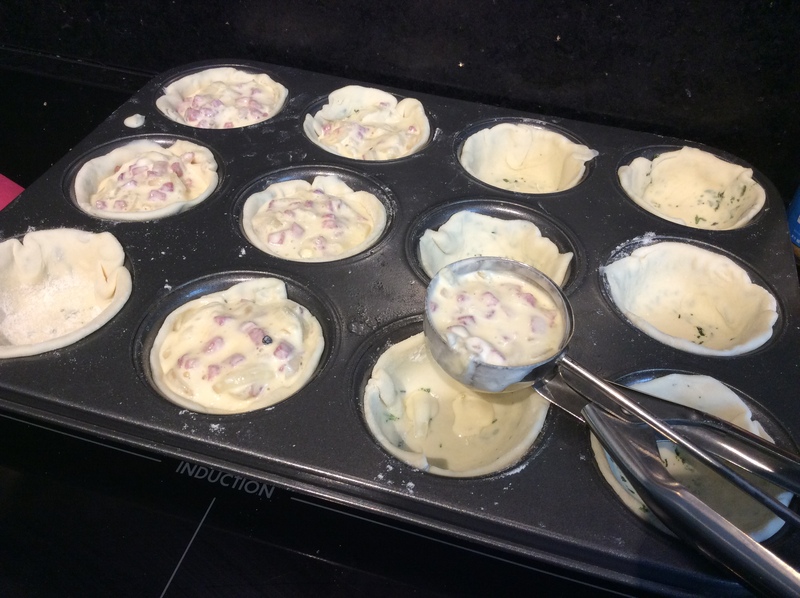 Once the pastry has rested for 20 minutes fill the bun tin with the filling. I use an ice cream scoop which is roughly the right size. 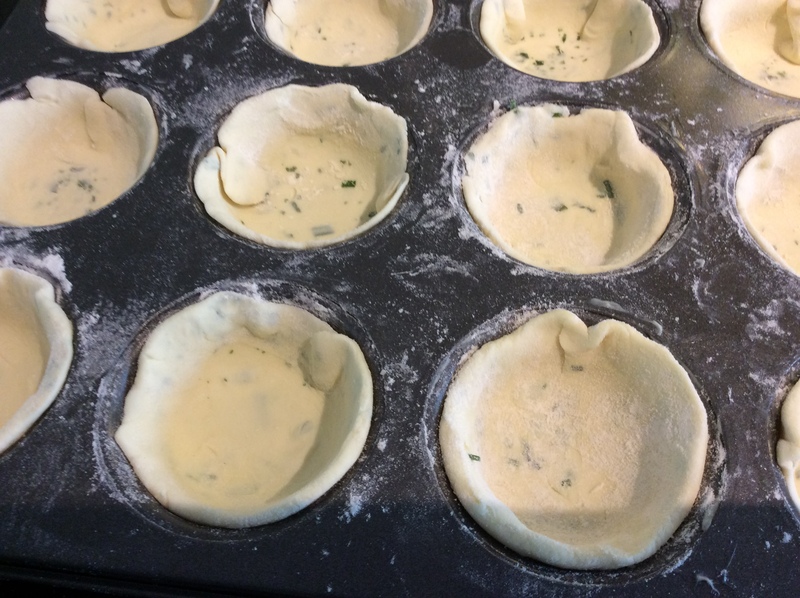 Try not to over fill the pastry as the filling will puff up when it cooks. 8. 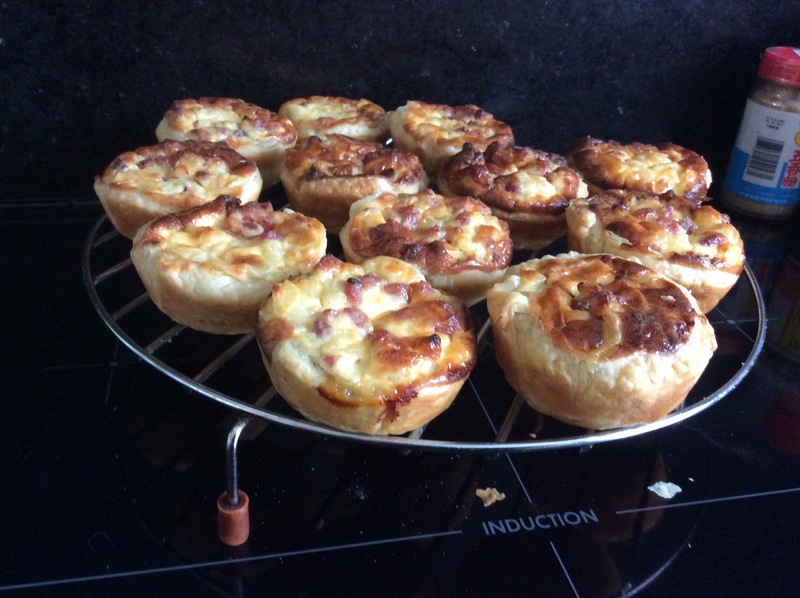 Cook for approximately 25 minutes until pastry and topping are slightly brown. 9. Leave to cool of a wire rack for 15 minutes before serving. Can be served warm or cold. 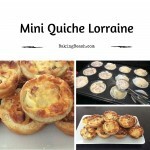 This is an easier version of the French Classic dish, mini quiche lorraine. 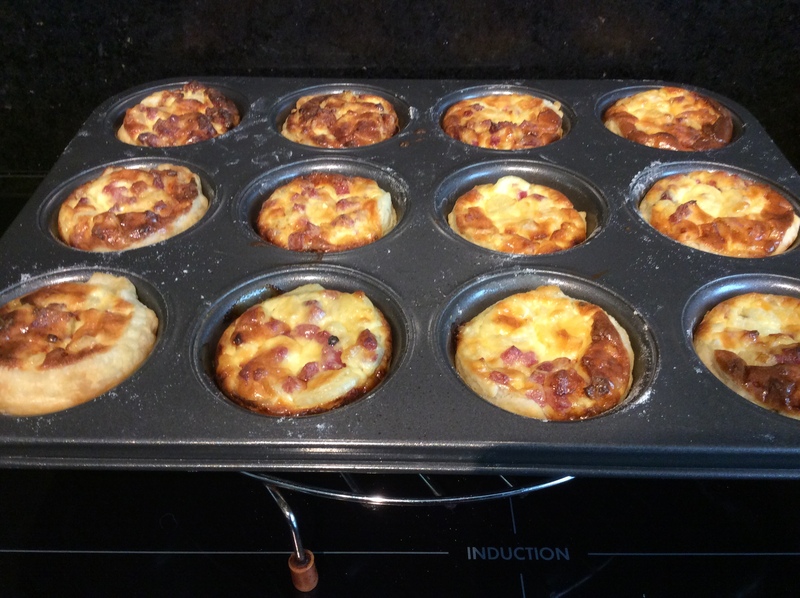 Quiche Lorraine was one of the first dishes that I learnt to make. For my first school cooking exam we had to make something with pastry and this is what I chose. I practiced it for several weeks and managed to get a good score. 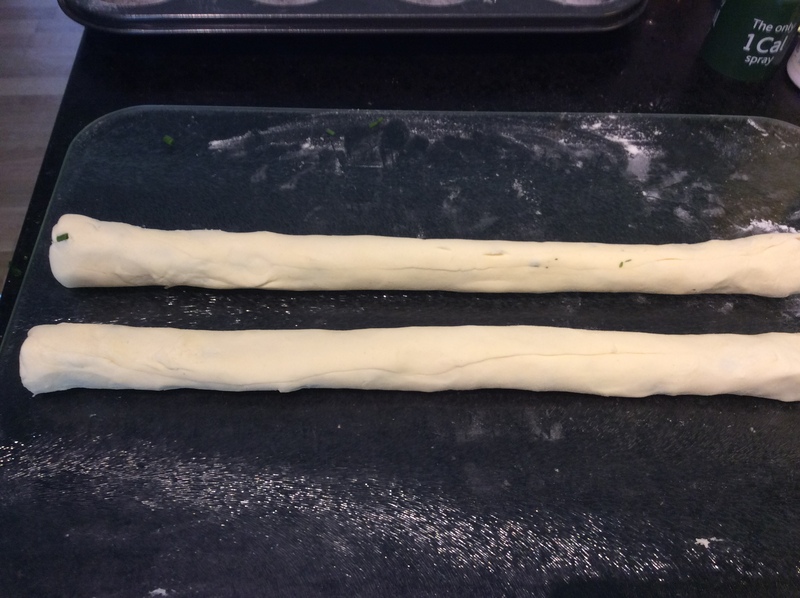 In this version I’m cheating by using ready made puff pastry instead of homemade short crust pastry. It certainly makes it easier and you won’t need to practice for weeks to get a great result. Hope you enjoy them too. 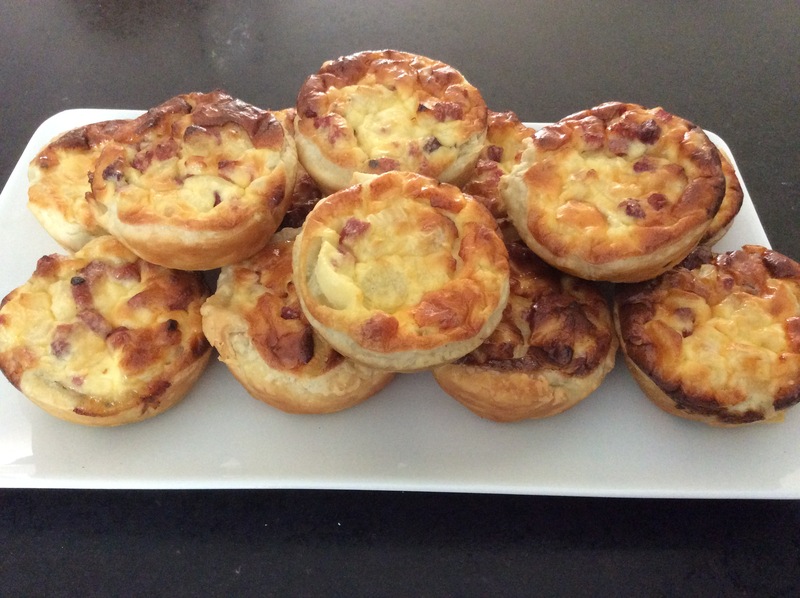 I hope you enjoy my mini quiche lorraine, if you have any suggestions let me know.